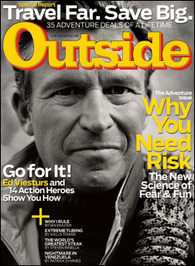 Ed Viesturs is America's leading high altitude mountaineer, having climbed many of the world's most challenging summits, including ascending Mount Everest seven times. He recently completed a 16-year quest to climb all 14 of the world's highest mountains (above 8,000 meters) without the use of supplemental oxygen. In doing so, he became the first American and the 5th person in the world to accomplish this. He reached the summit of his 14th peak, Annapurna, on May 12, 2005. 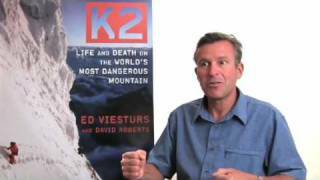 "When I first attempt a Himalayan peak," Viesturs explains, "I climb without bottled oxygen, even if it keeps me from reaching the summit. My personal goal is to see how I can perform, to experience the mountain as it is without reducing it to my level. 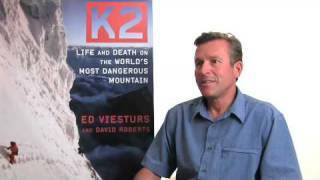 For me, how I reac Ed Viesturs is America's leading high altitude mountaineer, having climbed many of the world's most challenging summits, including ascending Mount Everest seven times. He recently completed a 16-year quest to climb all 14 of the world's highest mountains (above 8,000 meters) without the use of supplemental oxygen. In doing so, he became the first American and the 5th person in the world to accomplish this. He reached the summit of his 14th peak, Annapurna, on May 12, 2005.